With governing coalition resting on razor-thin 61 MK majority, National Union faction debates voting against coalition amid terror increase. The National Union will debate voting against Prime Minister Netanyahu's coalition in protest of the recent upsurge of terrorism in Judea and Samaria. The National Union is a faction in the Jewish Home party. Founded in 2001 as a joint list for a number of small right-wing parties, it is currently headed by Agriculture Minister Uri Ariel. 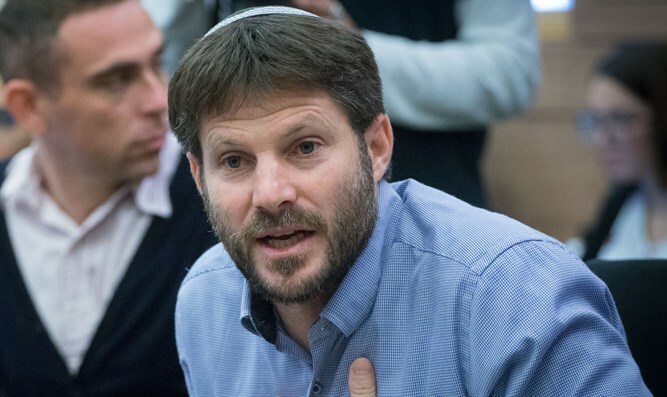 MK Bezalel Smotrich also hails from the National Union. In a meeting in Ofra on Thursday evening, the National Union will consider rebelling against the coalition in response to the security situation. The coalition currently has a slim 61-lawmaker majority in the Knesset. A statement from the party said that it "will discuss the proposal to present Prime Minister and Defense Minister Binyamin Netanyahu with a list of immediate demands in the areas of security and settlement" and added that it will "examine the continuation of the party's path in the government and the coalition". The meeting comes after National Union head and Agricultural Minister Uri Ariel presented an ultimatum to Netanyahu following the attack in Givat Assaf in which two Israelis were murdered and two others were seriously injured. "Another brutal attack took place a short time ago at Givat Assaf Junction," Ariel says. "We must act immediately and return the checkpoints throughout Judea and Samaria, act to demolish homes and expel terrorists inside Judea and Samaria."